Having a properly installed garage door is key to maintaining the appearance and function of your home, office or commercial location. When you’re searching for a garage door installation service in Mesa, Flagstaff AZ and beyond, Stapley Action Garage Door is fully equipped to get the job done right the first time. 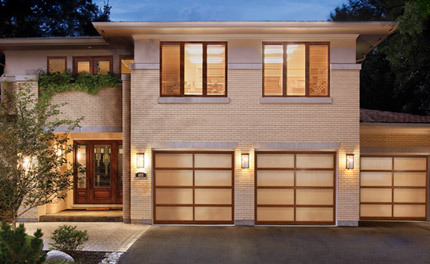 We carry a massive selection of garage door products and systems to choose from, along with fast and dependable installation services performed by highly-trained professionals. Whether you’re building new construction or replacing an aging or damaged garage door, we can help. Attempting a “do-it-yourself” garage door installation can be dangerous and potentially more costly and time-consuming without the appropriate tools and level of expertise. When you choose us as your garage door installation company, you can rest assured you’re getting a high-functioning garage door that looks great and will last with minimal maintenance requirements. A garage is often the preferred point of access for a home, whether you’re heading out in the car for work or the kids are returning in the afternoon from school. It’s commonly the storage place for your vehicles as well as tools, sporting goods, seasonal decorations and more. As experienced garage door installers in Phoenix, Flagstaff AZ and throughout the region, it’s our goal to ensure the biggest, heaviest and most complicated door in your home works safely and precisely. The garage doors we install are easy to use and offer the security you require to keep your residence and personal property under lock and key. An improperly installed garage door that’s unreliable or doesn’t work at all drags down the efficiency of your business and negatively affects your bottom line. Commercial garage doors are often subjected to heavy use and wear and tear resulting from impacts from workers, equipment, tools and machinery. With professional services from a reputable garage door installation company such as Stapley Action Garage Door, you get the garage door you require, installed in a fast and effective manner to keep your business safe, secure and operating at full capacity. For over 30 years, Stapley Action Garage Door has been providing superior products and installation services for residences and businesses throughout Mesa, Gilbert, Chandler, Scottsdale and other Phoenix-area communities. As the Clopay® garage door dealer in Arizona, we offer top-quality products expertly installed by skilled technicians. We’re experienced installing all types of garages for residential and commercial locations and will perform work with minimal disturbance to your family or business. Don’t leave the big job of installing a garage to just anyone. Choose the garage door installation service in Mesa, AZ that offers the friendly, knowledgeable and dependable service you require. Learn more about our commercial and residential garage door installation in Mesa, Arizona. Give us a call or contact us online or call us at 480-655-1255 to request a free estimate and for assistance scheduling your installation services today.